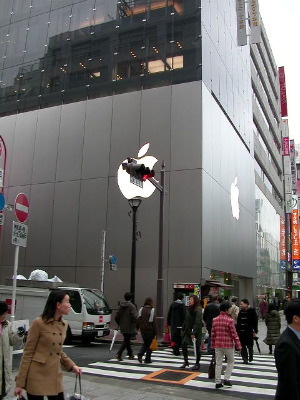 This is a picture of the Apple Store in Ginza. This was my first visit to an Apple Store. I still don't think they have one in Canada. One thing that was a disappointment was they didn't have the iPod Mini at the time. If you ever want to surf the net for free in downtown Tokyo you can do so at the Apple Store in Ginza.